Do You want to monitor your website traffic in a simple way? Do you really want to know how many visitors you get per day, month and also within a year? 6 BASIC THINGS TO DO FROM THE FIRST DAY OF CREATING A BLOG. 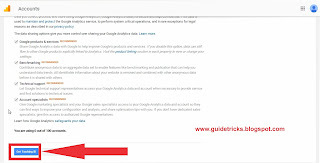 Today in this post I am going to show you how to monitor your website traffic using google analytic. 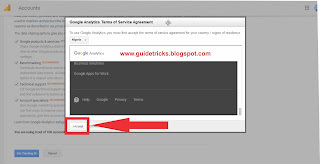 Right by the way what those google analytic means and why it is important? 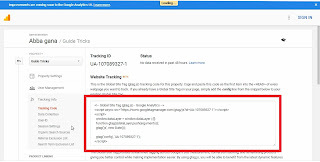 Well, Google Analytic is a freemium web analytics service provided by Google that tracks and reports a website traffic. This service was launched by Google in 2005. 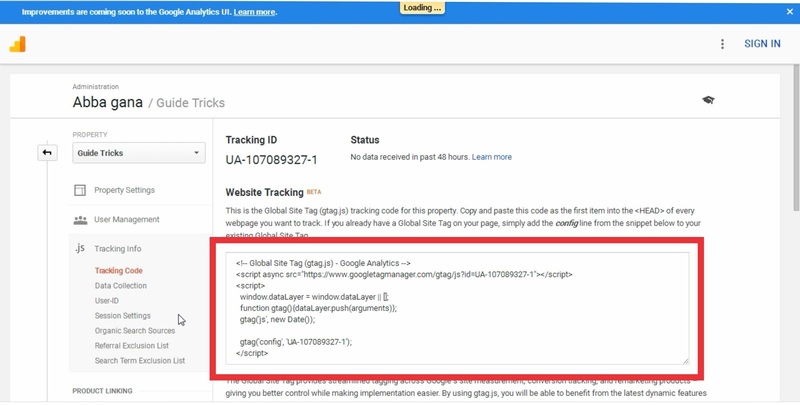 Google Analytic performs some features like where visitors came from, how long they stayed in your website and their geographical features and custom visitor. It also includes Website Optimizer service for their users. Actually, you don’t have to pay any amount before you get asses to Google Analytic as well as no monthly due it is free of cost for lifetime. Hence, if you are a webmaster then you must use Google Analytics for tracking your visitors. Ø You must have a website, blog or forum. Ø You must be at least 18 years old. 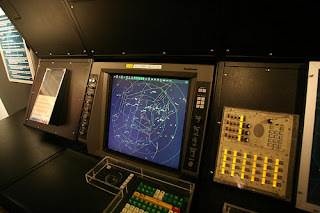 Ø You should have an idea on how to navigate through out a website, blog or forum. 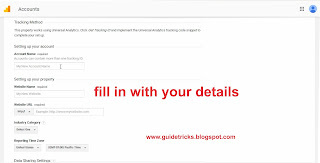 The first thing you have to do is to visit Google Analytics Website, you will be greeted with a beautiful landing page. a page will open, now you need to fill in with your details. You can take help of below image as shown. 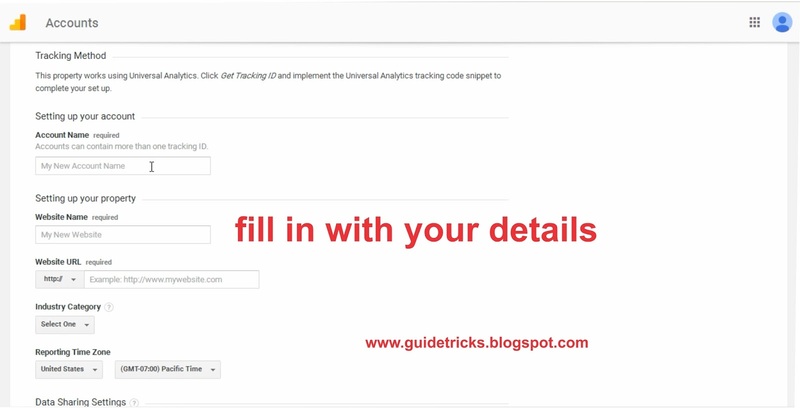 After filling all with your credentials, make sure you go through it to avoid mistake and misspelling when done now click on “Get Tracking ID” button. Now you have successfully been signed up at Google Analytics. make sure you add the code in your Website’s Header File, after the <head> tag. you can now track your website by going at “Home Pannel”. I miss to copy or misplace the given code how would I found it? While You are In your homepage Now Click on “Admin” button at the top of your dashboard. Now, click on “Property Setting” from their you’ll find a “Tracking ID”. In this tutorial we covered all the basic things about Google Analytics. Make Sure you share this post with your webmaster friends too. Subscribe to GuideTricks and tell your friends about GuideTricks too. Thank You, Keep visiting for more tips, tricks and much more. buy or make an action decision:. Google analytic is wonderful service. 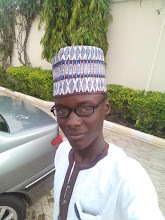 It is perfect since it is a Google's product. 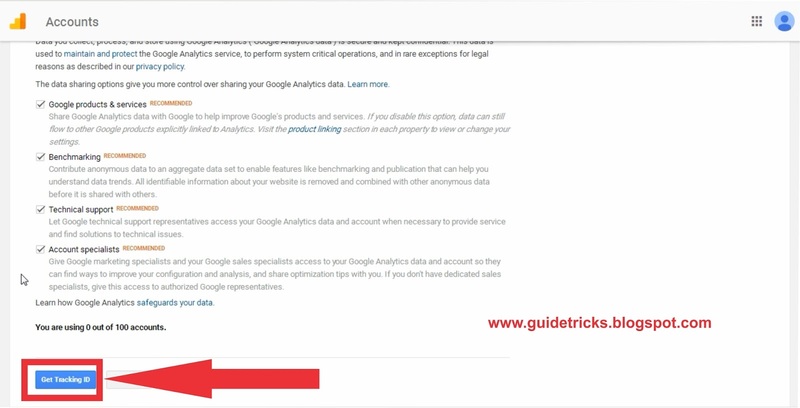 Google have all information for searching data so that webmasters will have a very details picture about their website trafiics.